SETARA – Supporting Equality to Achieve Real Advancement – refers to a series of workshops exploring concepts of social inclusion, focusing on gender equality. 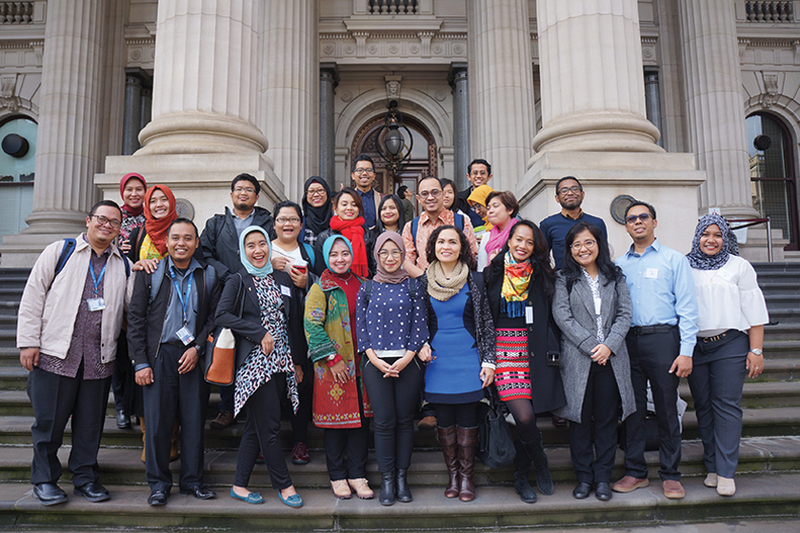 SETARA (meaning ‘to be equal’ in Indonesian) workshops are aimed at Australia Awards scholarship students from Indonesia who are interested in increasing their understanding of social inclusion and gender. Participants will learn how gender equality is incorporated into leadership and general policy-making in Australia and will gain an understanding of the concepts, tools and frameworks used in gender analysis. The workshops are interactive and highly participatory, using practical case studies to explore ideas and develop skills. SETARA oneday workshops will be delivered in capital cities around Australia, facilitated by a social inclusion expert from the Gender Consortium at Flinders University. In 2018, SETARA workshops will be held in Brisbane, Sydney, Canberra, Melbourne, Adelaide and Perth. Awardees in each location will be contacted by email approximately one month prior to each SETARA workshop, seeking expressions of interest for participation in the activity. Both men and women are strongly encouraged to attend the workshops. All SETARA participants will receive an Australia Awards Certificate of Attendance and will be eligible for consideration to participate in an extended SETARA workshop to be held later in 2018. This seminar will expand on the content of the one day workshops and participants will meet with a range of key social inclusion stakeholders to expand professional linkages and opportunities between Australia and Indonesia. ‘This event provides an understanding regarding gender in perspective of Australian and Indonesian Government in simple ways’.